Archaeologists have discovered the mummy of a 900-year-old Russian "polar princess" close to the Arctic Circle, the Siberian Times reported Friday. According to the report, the remains of the 12th century woman were unearthed at the Zeleny Yar burial site near Salekhard, Russia. The 35-year-old woman's body was reportedly "accidentally" mummified and her eyelashes, hair and teeth were preserved in her grave. She was the only woman buried among around 40 men in the grave and archaeologists believe she came from a medieval hunter and fisher community and could have been an elite member of the society in which she lived. Although her head was mummified, the rest of her body was not, the Siberian Times reported. Professor Dong-Hoon Shin, from Seoul National University, told the Siberian Times that mummification process could be artificial and natural. 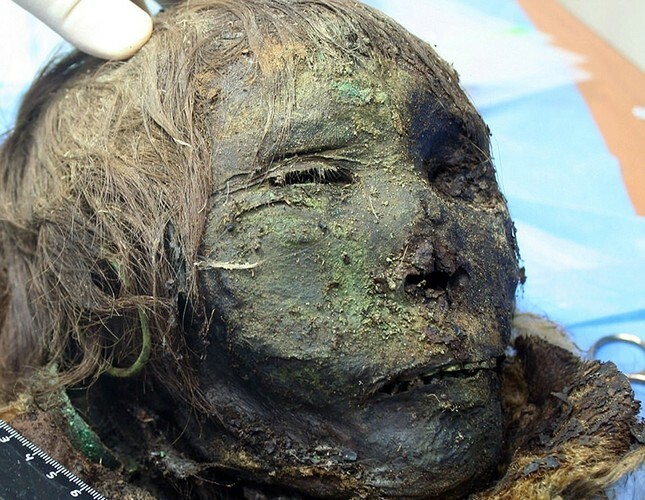 "The natural mummification of bodies of the buried is usually observed when certain conditions of the environment - permafrost, the presence of copper objects in the burial - and climate" the professor said, adding that Arctic mummies are very rare. South Korean and Russian researchers are expected to carry out a series of DNA tests on the archaeological remains discovered at the site, reports said.